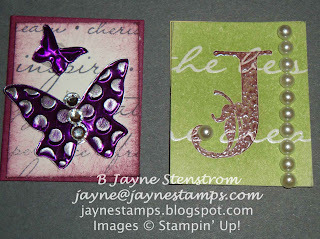 Here are a few more inserts that I made recently for my Simply Adorned charm. My friend Donna came over and we had a "play date". 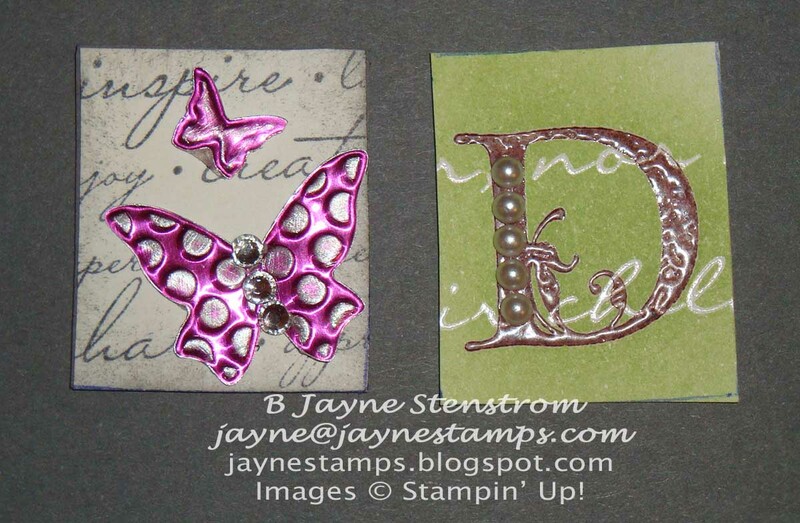 It's so much fun to get together and stamp with a buddy! Here are the inserts that I made (these are for the 1" by 1-1/4" charm). The butterflies are made by running some of the colored metal through the Big Shot with the Beautiful Wings embosslit and then lightly sanding the embossed butterfly to expose the silver under the color. Pretty, don't you think? And here are Donna's... I'm getting ready to head out to the Vera Bradley outlet sale tomorrow with a couple of friends. I've never been, so this should be an adventure! Hope we find some good deals!